Sedgley is located in the heart of the Black Country and in the north of one of the largest Metropolitan Boroughs in England. Although classified as a village Sedgley has many local amenities, accommodation, supermarkets, shops and public houses. It is also home to The Dormston Centre, a joint provision facility incorporating use for both sports and arts. Located on Mill Bank, the Centre is just a short walk from the Centre of Sedgley situated on the A459. In the centre of Sedgley is ‘The Bull Ring’ a 5 way island, Mill Bank is located off this island, to the side of the Red Lion pub. There are limited parking spaces on The Centre car park. There is also an overflow (pay and display) car park located on Bilston Street. Coaches can gain travel down Mill Bank although the roundabout makes access difficult. 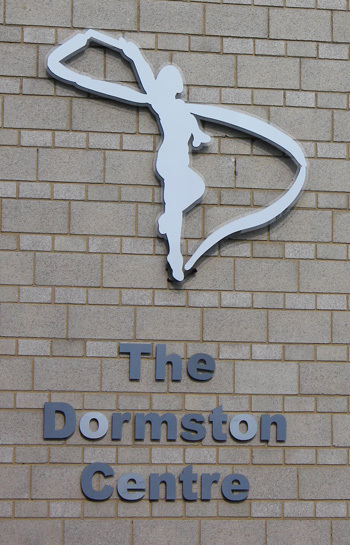 The Dormston Centre is located in a residential area and consideration for residents must be shown when visiting the Centre. The postcode for satnavs is DY3 1SL. The Box Office is open 10.00am – 3.00pm and 5.00pm – 9.00pm all year round and can be contacted on 01384 816388 / 9.